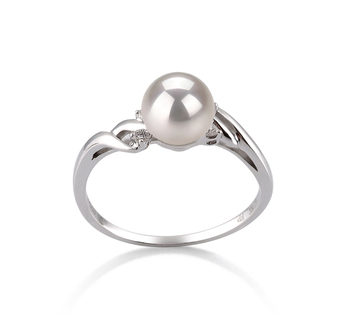 Every woman should be wearing at least one pearl ring, as it is the perfect symbol of sophistication and elegance. Why not take a look at our collection of white Japanese Akoya pearl rings and read through the following tips so that you can choose the perfect ring for you. 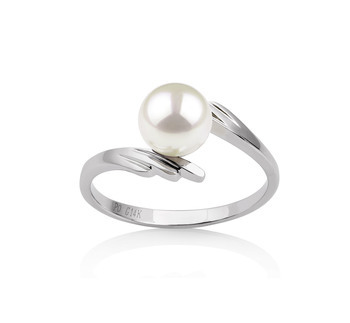 You will find that pearl rings are very versatile pieces of jewellery to wear, and are very easy to match with nearly every outfit in your wardrobe. But, when it comes to choosing the right size of pearl this is a very important step in the selection process, as it will also help to emphasize some of our personality features. This delicate pearl is perfect for graceful women who have the patience to be able to notice the finer details of things that they see in front of them. 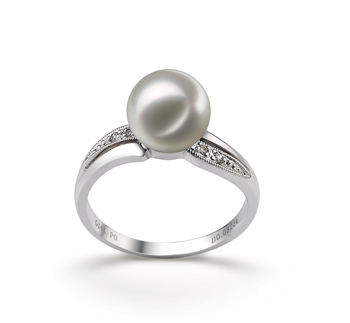 A white Japanese Akoya pearl ring is the perfect choice for this size of a pearl. 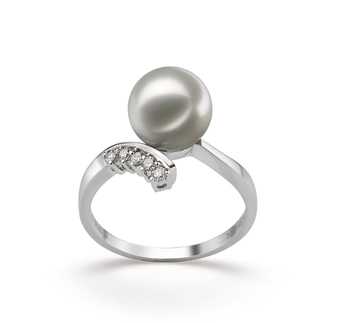 A medium sized pearl is the right choice for women who can easily adapt to situations and are dynamic. Versatile jewellery pieces such as this will allow a woman to look perfect in any given situation. 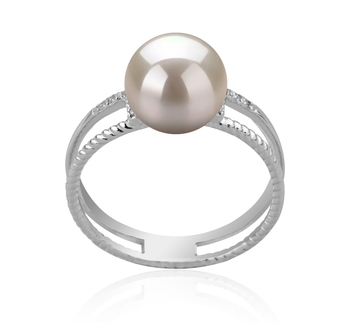 Due to their versatile nature, a white Japanese Akoya pearl ring will make the perfect gift to be given on any occasion. Plus, such a piece of jewellery will add further weight to the event it has been chosen due to its sophisticated nature. Below are just a few ideas of the kinds of events when you could give such a ring to someone on. But, please don’t forget that any day would be a great day to receive such a gift. Pearls always make a lovely gift to present to someone on their birthday, regardless of the woman’s age. Many women will appreciate receiving such a gift because of the timeless beauty of the pearls and such pieces of jewellery are so versatile to wear. 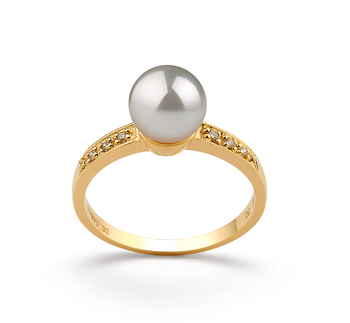 A simple white Japanese Akoya pearl ring will suit all tastes and will fit in with all fashion styles. 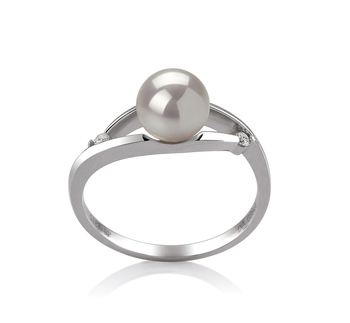 Opt for a ring that comes with a small pearl measuring between 6mm and 7mm as these are the most versatile. Also choose one from our collection that comes with more silver overtones rather than a pristine white one, as this will really enhance the look of outfit the recipient chooses to wear this ring with. Not all women these days want to wear a diamond solitaire engagement. There are many women today who feel that a pearl engagement ring is more appropriate. 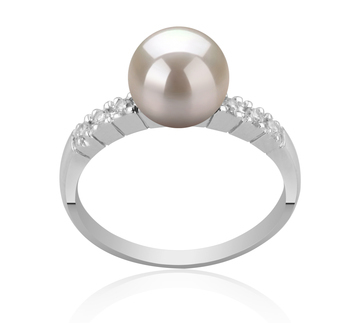 White Japanese Akoya pearl rings are the perfect candidates to be worn as engagement jewellery. Not only do they look sophisticated but also striking. A 9mm white pearl that has tiny diamonds on either side and all set in 14k white gold are perfect for women who love to pay attention to detail. What could be lovelier than presenting your mother with a white Japanese Akoya pearl ring from our collection, to show her how much she means to you. On the one hand, it is going to emphasize her elegance and grace, whilst on the other, it will clearly suggest to her how much you value what she has done for you throughout your life.